Not that he wasn’t ruthless, but in conquering the largest land empire in history, Genghis Khan also unified territories and introduced innovations including a postal service and passports. 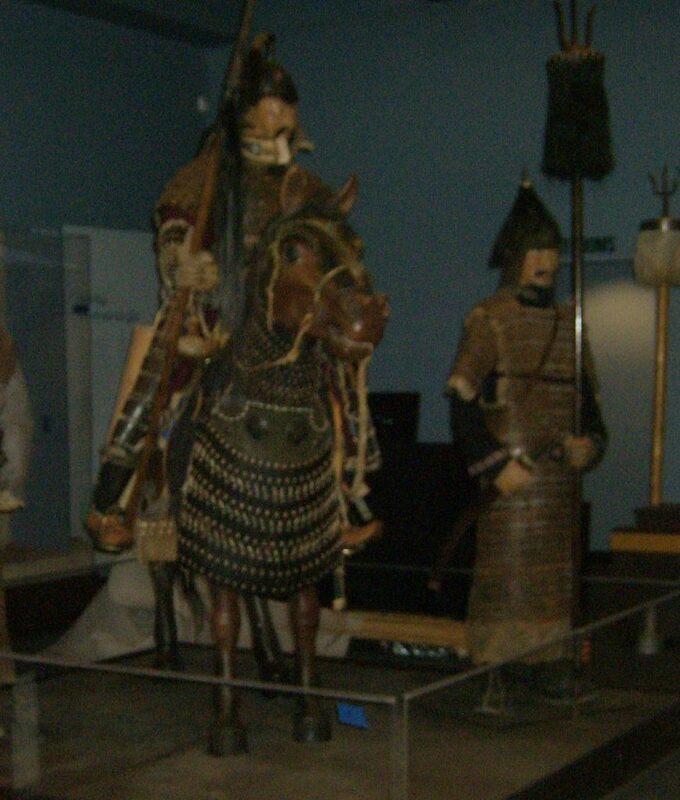 Visitors to the massive exhibit will start by assuming the identity of a citizen of the 13th century and will follow their alter ego through displays set up to reflect everyday life in the Mongol empire. 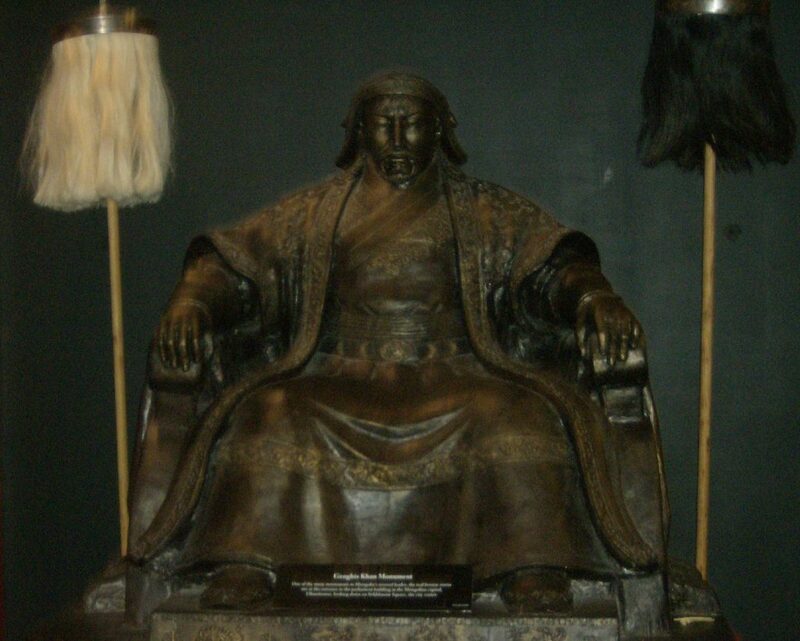 Flat screen televisions and information panels alternate with installations including a traditional ger (nomad dwelling) to illustrate the ways in which modern Mongolian culture has retained Genghis Khan’s influence. 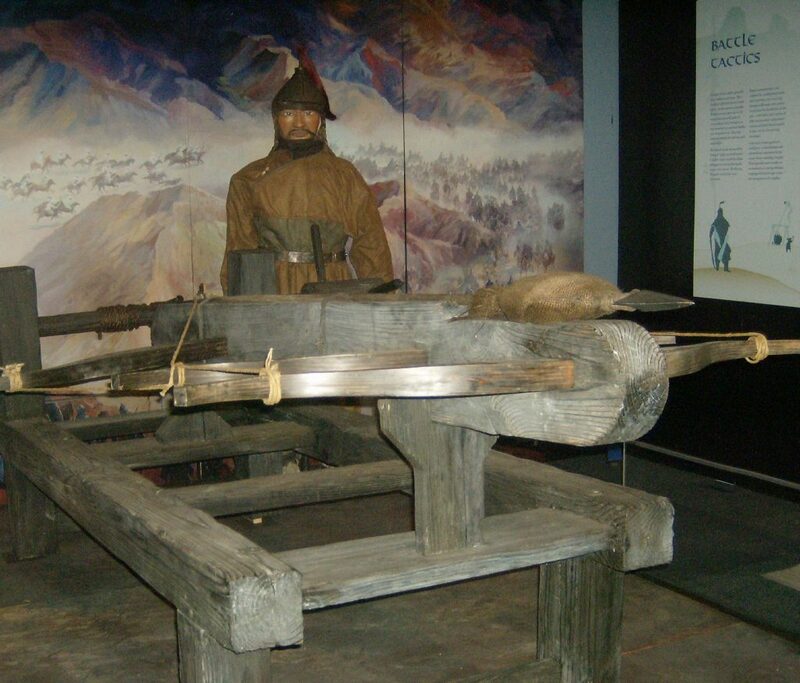 Displays depict traditional Mongolian clothing, armor and weaponry (including a 13th century “hand cannon”–the ancestor of the pistol) as well as cultural elements demonstrating the empire’s range and trading proficiency. More than 300 artifacts complete the exhibit, which was originated some ten years ago by Don Lessem– who had gone to Mongolia in search of dinosaurs. 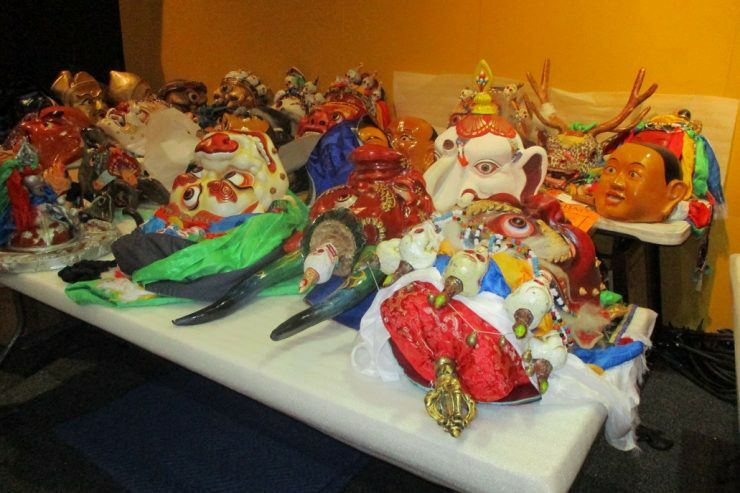 Modern Mongolian culture is also featured, including an exhibit of traditional dance masks created by curator Ganna Natsag, who is from Mongolia. Ganna, who works to recreate Mongolian culture, plans to demonstrate horseback archery—a vital component of Genghis Khan’s military strategy– later this spring. Meanwhile, performers in the Mongolian arts of dance and throat singing, accompanied by traditional instruments, will appear seven days a week during the exhibit.